New, less-invasive technique treats stubborn acid reflux disease. The problem might begin with a burning sensation that starts behind the breastbone and radiates to the neck and throat. In addition to this pain, known as heartburn, there may be nausea, regurgitation, bad breath and tooth decay. These are some of the telltale symptoms of a common condition known as gastroesophageal reflux disease, or GERD. Dr. Napoliello has expertise in surgically treating GERD with hiatal hernia. The term gastroesophageal refers to the stomach (gastro) and the esophagus, or food pipe. The esophagus empties into the stomach through a circular band of muscle called the lower esophageal sphincter (LES). If the LES does not open and close properly, digestive acids from the stomach can flow back into the esophagus and cause symptoms. Among these complications are esophagitis, or inflammation of the esophagus; and stricture, a narrowing of the esophagus due to scar tissue from acid erosion. 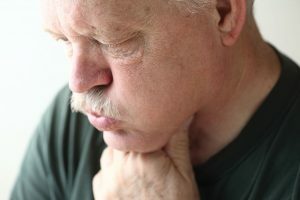 Another complication is the formation of ulcers in the esophagus, and yet another is the development of precancerous changes in the tissue, a condition called Barrett’s esophagus. Being obese or pregnant, smoking, overeating, eating late at night; eating certain foods, such as fried or fatty foods; drinking alcohol or coffee, and taking certain medications, including aspirin, can all be contributing factors in the weakening of the LES and the development of GERD. Another factor associated with GERD is hiatal hernia. “There is a natural space in the diaphragm, which is the thin muscle wall that separates the chest cavity from the abdomen, that allows the esophagus to pass through to the stomach. It’s called the hiatus,” explains Dr. Napoliello. 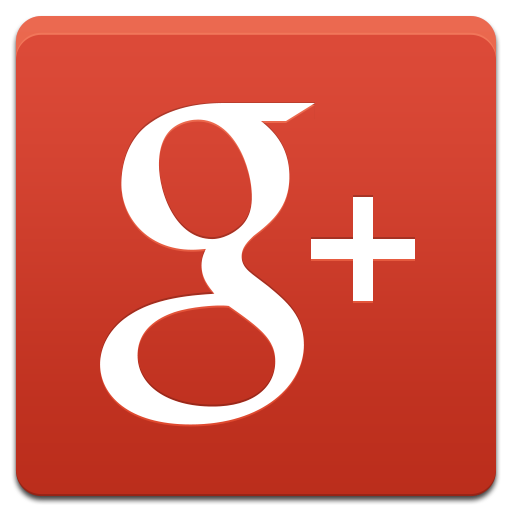 “The hiatus can become abnormally large from actions such as years of coughing or straining. The stomach can inappropriately slip upward into the chest cavity though that enlarged hiatus. That is a hiatal hernia. With GERD and hiatal hernia, people can experience all of the usual symptoms of GERD and also suffer additional symptoms attributed to hiatal hernia. These can include difficulty swallowing and respiratory issues such as chronic coughing and asthma-like symptoms. People can have GERD without having a hiatal hernia and a hiatal hernia without having GERD, but in most instances, people with hiatal hernia also have GERD. They generally co-exist. In some cases of simple hiatal hernia, there may be no symptoms, but symptomatic patients are treated with medication or surgery, relates Dr. Napoliello. When surgery for GERD with hiatal hernia is warranted, Dr. Napoliello can typically treat both conditions during one surgical session. He performs most of these combined procedures as laparoscopic surgeries with the patients under general anesthesia. Laparoscopic surgery is a minimally invasive technique that uses thin instruments and a camera inserted into the abdomen through tiny incisions. The surgeons view the esophagus, hiatal hernia and surrounding tissue on a video screen. Fortunately, Dr. Napoliello has expertise in surgically treating GERD with hiatal hernia. He is a specially trained reflux surgeon who completed a fellowship in minimally invasive and advanced laparoscopic surgery at the world-famous Mayo Clinic. “During the combined GERD/hiatal hernia surgery, we begin by repairing the hiatal hernia,” observes Dr. Napoliello. “That involves first putting the stomach back into its appropriate position. Then we sew the defect in the diaphragm closed with or without the use of a biologic mesh patch. After that, we pursue the anti-reflux procedure. Now, however, there is a new option for GERD treatment that is less invasive and proving to be equal, if not more effective than fundoplication in reducing GERD symptoms. This technique uses a reflux-preventing device called the LINX Reflux Management System. The LINX system is a drug-free treatment for patients who continue to experience significant GERD symptoms despite conservative treatments such as lifestyle changes and acid-suppressing medications. The LINX procedure is considerably less invasive than fundoplication because it doesn’t require any surgical changes to the anatomy. “The LINX device is a small, flexible, circular band of interlinked magnetic beads made of titanium,” describes Dr. Napoliello. “The device is placed around the base of the esophagus, and it essentially acts as a new, artificial lower esophageal sphincter. Surgery to install a LINX Reflux Management System can be done as an outpatient procedure or with an overnight stay in the hospital. 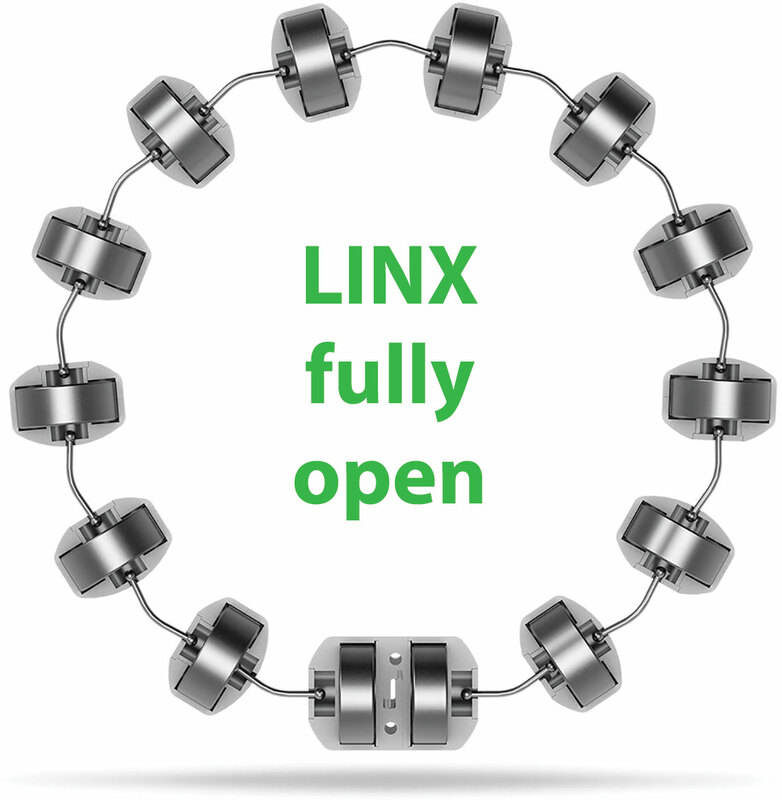 A standalone LINX procedure takes about one hour to perform. When done as a GERD/hiatal hernia repair, surgery time is slightly longer, about an hour and a half. The LINX device can be removed or replaced if necessary. The LINX technique is also a good option for those who are concerned about the risks and side effects of long-term medication use to manage their GERD symptoms, adds the doctor. “There have been reports recently questioning the standard medical management of GERD, especially the use of proton pump inhibitors,” states Dr. Napoliello. Proton pump inhibitors are a group of medications that stop production of a protein in the stomach that is necessary for acid secretion. “These medications have been linked to decreased calcium and magnesium, stomach tumors, blood clots and even the development of dementia. Patients who have concerns about these risks now have a new answer for treatment of their GERD. It is the less invasive surgery using the LINX device.